HacDC starts funding for USRP2 – Bringing RF / software radio research to DC! Do you wish you had truly universal communication device? A device that is a cell phone and can connect using GPRS, 802.11 Wi-Fi, 802.16 WiMax, a satellite hookup or any emerging standard, as well as GPS, GLONASS or both? 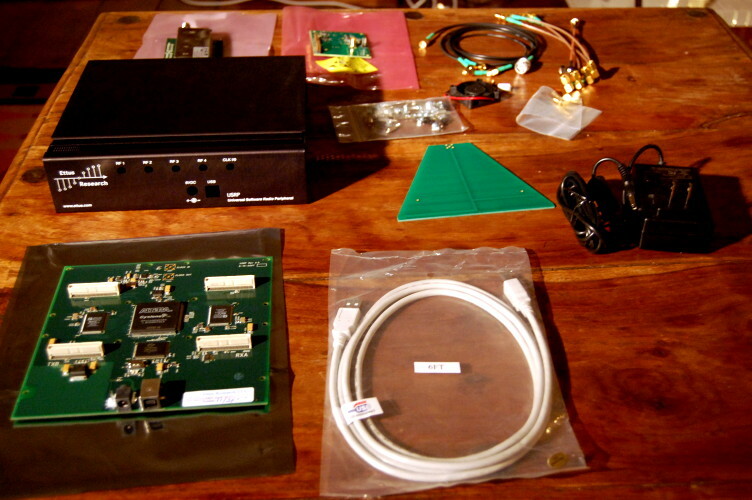 The HacDC has started a fundraising campaign to acquire a Universal Software Radio Peripheral (USRPv2) from Ettus Research. HacDC will use the USRPv2 to research Radio Frequency (RF) / Software Radio! / Digital Signal Processing (DSP) and open up classes and teach these subjects to the DC community. As always our classes and study groups our free and open to the public, so donate, join (www.hacdc.org) and help build a new RF / software radio group in DC! The Universal Software Radio Peripheral product family allows you to create a software radio using any computer with a USB2 or Gigagbit ethernet port. Various plug-on daughterboards allow the USRP and USRP2 to be used on different radio frequency bands. Daughterboards are available from DC to 5.9 GHz at this time. The entire design of the USRP family is open source. … a Sign of Dark Matter or a Nearby Quasar? blasted thing just doesn’t do what you need it to do out of the box. motivate that doorstop of yours if you attend my class. already know how to do all that in python, this is the class for you! Hey everyone, wanted to let you know that me and a few friends of mine are going to be putting on a fundraiser in South Jersey for the American Cancer Society. We’ll have live music from some local bands and Japanese Punk Band Peelander Z, in addition we’ll have TVs set up for gaming, everything from old school Nintendo to Xbox 360s. There will be a few tournaments for Halo 3, Rock Band, Soul Calibur IV, and Super Smash Bros. Brawl with great prizes. If you have a chance stop by the Station 33 Fire Hall in Bellmawr, NJ on the 22nd of August at 4pm.